Today marks the beginning of the Battle for Kiev. Right now it admittedly is a "long distance" battle for the capital of the Ukraine. But the Russians are now on the outskirts of the Kiev defensive zone some seventy miles east of the city. Nezhin, the big railroad junction on the Kiev-Moscow railroad, was the last outpost on this defensive zone. The fall of the city yesterday put the Red Army into the many belts of minefields, support points, and pillboxes which protect the city. The Germans threw in fresh regiments to support Nezhin. We can expect that more fresh regiments will appear as General Rokossovsky's troops move forward. The position around Bryansk is not clear today. We have had no dispatches from the troops last reported at the gates of the city on the eastern side of the Desna River. An article in today's Pravda, organ of the Communist Party, calls on Bulgaria to abandon her collaboration with Germany before the Balkans are turned into a battlefield. This statement is significant when you recall that, in December 1941, Bulgaria suddenly decided to declare war on the United States and Great Britain. She never has declared war on Russia. The Pravda article points out that although no Bulgarians have fought on the Soviet front, the Bulgarian army is relieving German troops from police duty in the Balkans, that the Bulgarian navy is transporting German troops in the Black Sea, and that Bulgarian materials are supporting the war against Russia. Then the newspaper says: "The capitulation of Italy has opened the right flank of the Hitlerians in the Balkans. 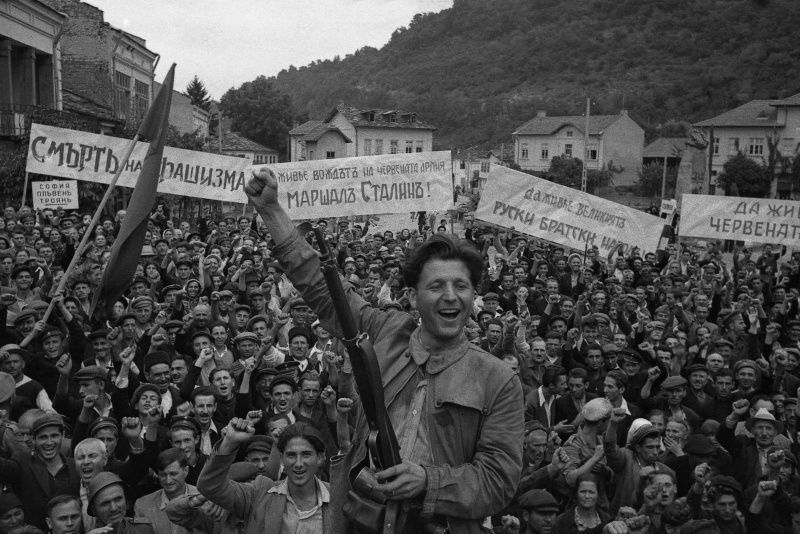 If not today, then tomorrow, the Balkans can become a theater of war." Bulgaria has two ways before her, Pravda says. She can walk to destruction with Germany, or she can break with Germany and pursue a policy of national independence. The statement ends on this note: "The Soviet people have been patient about Bulgarian policy because they did not believe it the policy of the Bulgarian people . . . but the Russian people have a right to warn that there is a limit to every patience."